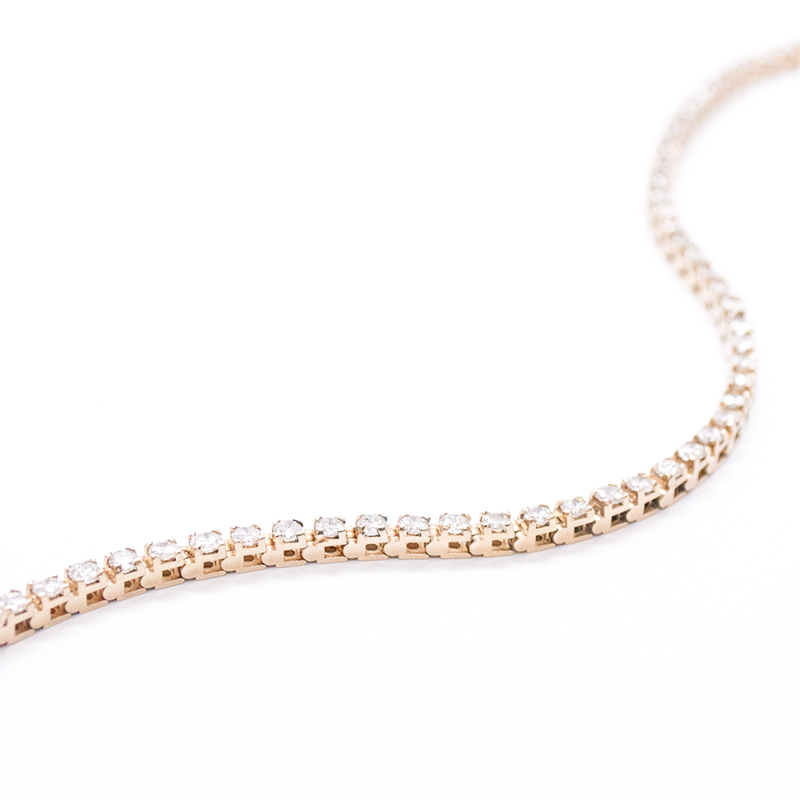 14K yellow gold lady's combination cast & assembled diamond tennis bracelet with a bright polish finish. 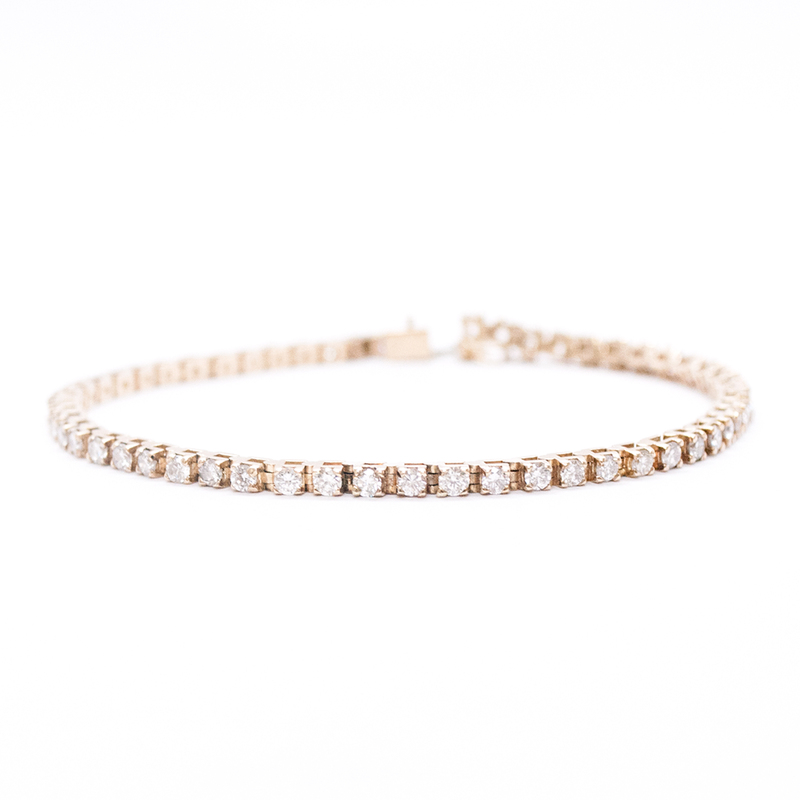 This classic bracelet measures 8.25In long and features a straight line of fifty-six round brilliant cut diamonds, each in individual four prong settings. The bracelet secures with a slip in tongue and groove clasp with a figure eight safety catch.